David W. Sinclair is a native of Western Pennsylvania, and was largely self-taught before beginning his undergraduate work. He received a Bachelor of Music with distinction in viola performance from the Eastman School of Music and holds a Master of Music and Artist Diploma in viola performance from Duquesne University. 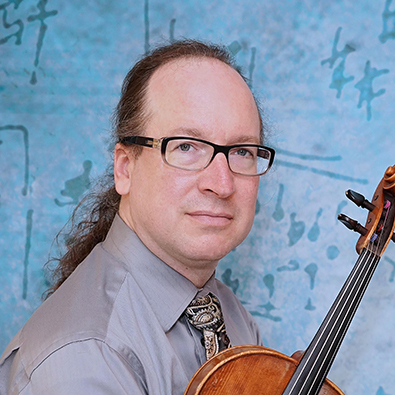 Mr. Sinclair is currently the principal violist with the Westmoreland Symphony Orchestra in Greensburg, PA, in addition to his work as a chamber musician. He has appeared with the Pittsburgh Opera, Pittsburgh New Music Ensemble, Heidelberg Schlossfestespiele Opera Orchestra, Academy Chamber Orchestra, Erie Philharmonic, Butler Symphony, Johnstown Symphony, Altoona Symphony, McKeesport Symphony, Youngstown Symphony and the Wheeling Symphony among other groups. He taught viola and violin at the Westmoreland Suzuki School of Music for several years and was also the Music Director of the Westmoreland Junior Strings, the Seton Center String Orchestra, and the Westmoreland Youth Symphony String Ensemble. Currently he is the Music Director of the newly formed Seton Strings ensemble. He was also the Violin/Viola faculty for the Waldorf School of Pittsburgh. In addition, Mr. Sinclair spent eight years as the viola coach of the Greater Erie Youth Symphony Orchestra and accompanied them on a successful tour of Italy He has been on the faculty of Seton Hill University as adjunct instructor of Violin and Viola since 1999. Mr. Sinclair lives in Butler, PA with his wife.